Fast is cheap, but only in the short-term. Kenneth Kavanaugh Most people do not realize the cost when buying globalized, industrialized, processed foods until their health comes into account. 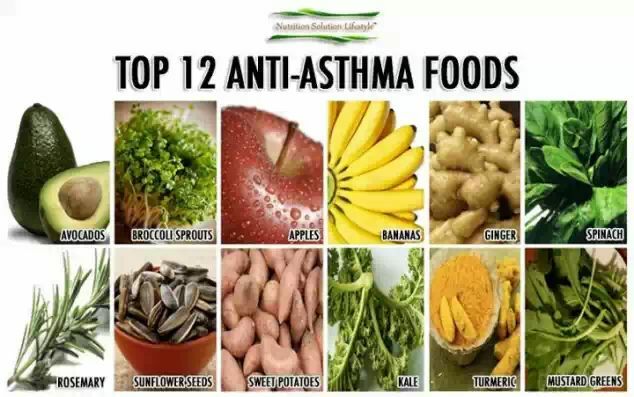 Even then they will continue to buy cheap foods because the action, they believe, will help offset the medical costs incurred because of their consumption of cheap, and cheaply-made foods. And made worse by entities like Big Ag, Big Pharma, and Big Gov, who promote the purchasing of the products causing the harm. -diluted vinegar will also kill weeds. 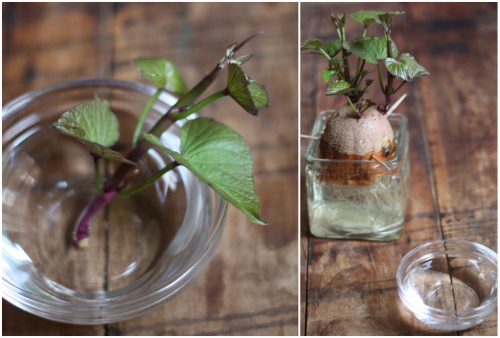 Before planting rose cuttings, push the bottom end into a small potato, which keeps the cuttings moist as they develop roots. It sounds crazy, but apparently it works really well. 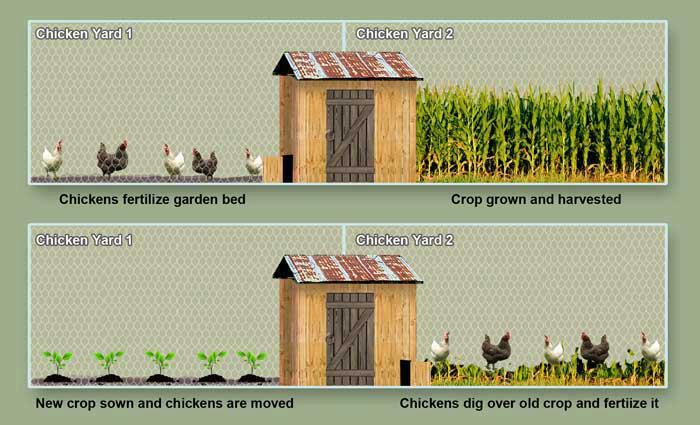 1) Optimize the structure of soil to increase the buffering power and fertility . to retain water and beneficial micro nutrient ,accordingly largely increase the fertility of soil. to absorb water oxygen and nutrient also improve root penetration. 2) Neutralize both acidic and alkaline soil to release the beneficial metal ions, thus promote absorption by plants. and promote their uptake by the roots. thus their toxicity is reduced and phosphate is bonded by aluminum is released. 3) Promote plants growth also largely crease the yield and quality . Humic acid stimulates the membrane of seeds to form a strong roots, which is decisive to increase the capacity of root to take up both micro and macro nutrients. 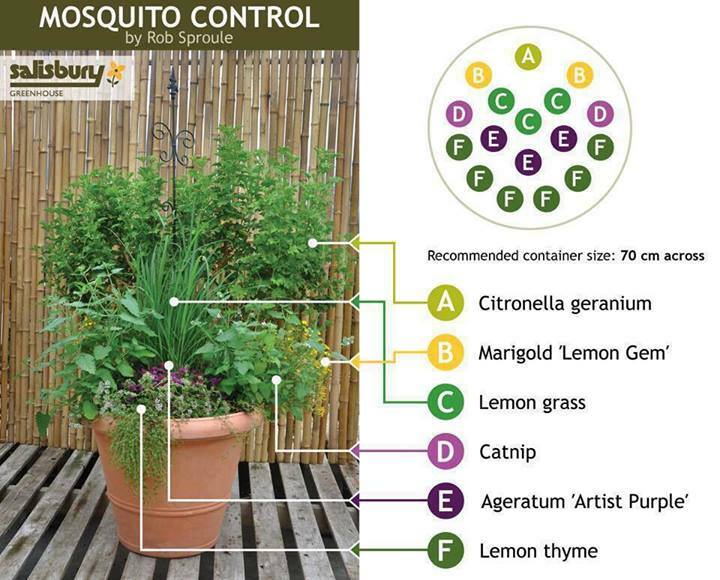 4) Increase the plants’ ability to anti drought,frost under stressed conditions. claims a Northern California gardening research group. 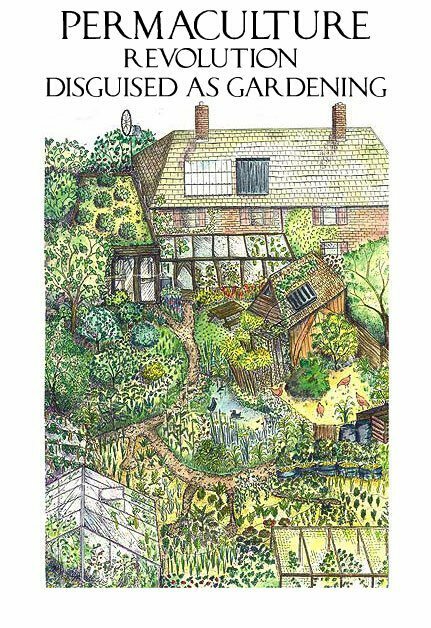 Back in the 1970s, Ecology Action and group founder John Jeavons outlined a system called Grow Biointensive. to enrich their soil so that they can grow their own food close to population centers. Grow Biointensive uses 8 principles: compost application, deep soil preparation, intensive plant spacing, companion planting, carbon farming, calorie farming, open-pollinated seeds, and farming as a whole system. make it possible to "produce 2 to 6 times more food, build the soil up to 60 times faster than in nature, if properly used reduce by half or more the amount of land needed." 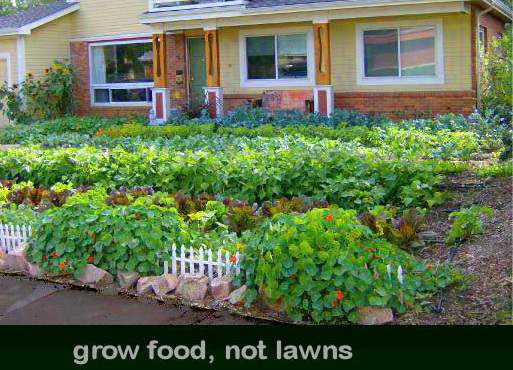 Farmers/gardeners are the only people who produce something from nothing - all the other manufacturers produce things by changing them from their raw state into something else more "useful". The cycle is moving back to that basic fact - that farming allowed villages, towns & cities to be possible. Farming allowed people to specialise & diversify into industry. Eggshells- are gold mines for calcium. Boil your eggs -use it to water your veggies, they will grow healthy and strong. 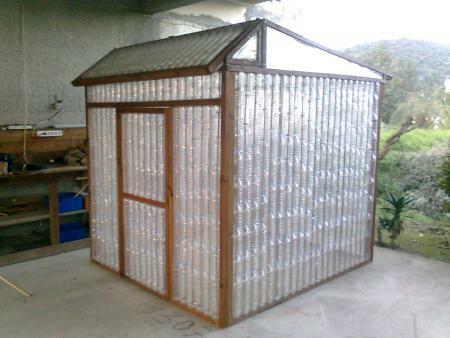 - Do not throw out egg shells. Wash the half shells, poke small hole in bottom with a pin to ensure draining and fill the shell with soil. Press some the seeds into the soil. 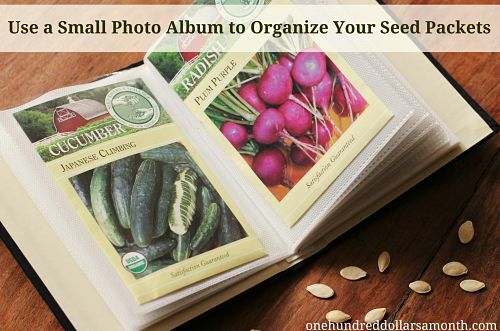 The abundance of nutrients in the shells will enable the seeds to grow into beautiful, perky plants. pop the whole lot into the ground. 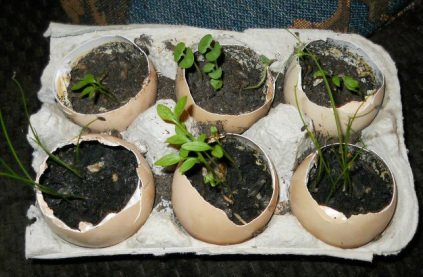 OR grow the seedlings in the egg carton and cut the egg carton up to plant each seedling. 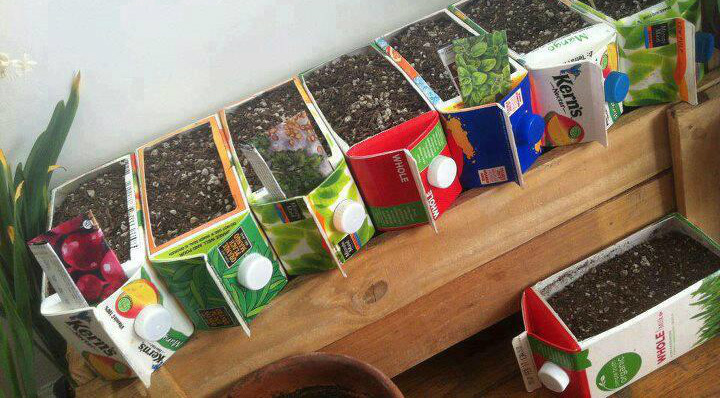 What a sweet way to bring seeds into the world! Best of all it's biodegradable once they're ready for potting. 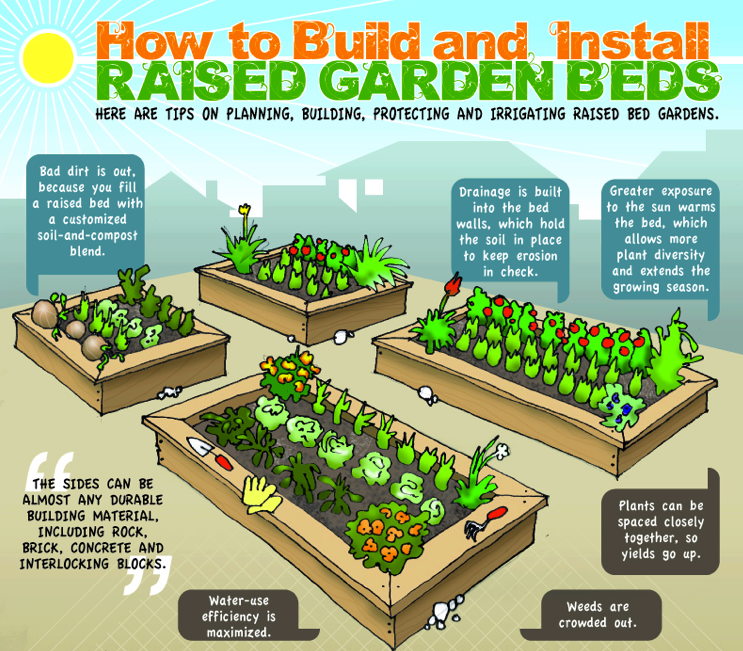 Using raised beds can be a great way to grow crops in small spaces. and worms and micro organisms are encouraged to move up from below to break it down into lush soil. 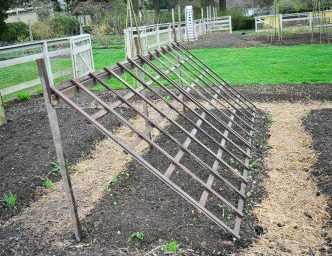 and the raised edges give you a contained space where you can easily manage weeds and fertility. we have to work hard to create a biologically rich and active environment that will support healthy plant growth. will promote and sustain microorganism activity. 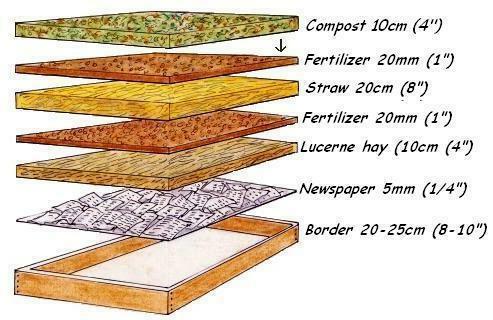 due to the technique of layering the organic material to fill the bed. With cold weather on the horizon, strategy and preparation help eliminate last-minute panic. Mulch is the most important means you can use to protect garden plants against the cold. because it holds in moisture and moderates soil temperature. Before you cover your garden with fresh mulch however, rake back the remaining old mulch and top dress your garden soil with compost. That is all you need to do with regard to adding compost. Rain, earthworms and mycorrhizal fungi will do the rest. in so doing, prepares the garden for spring planting. Next spring after you plant, top dress your garden with compost again before you mulch. This ongoing soil improvement process enriches the soil and helps keep it healthy. Plants are less likely to be damaged by cold if root zones have adequate water. so do grass, gardens and container plants, even during the winter. Hydrated roots are more likely to survive cold than dry roots. For dormant perennials, only the root system needs to be protected. Cover plants’ roots with a three-inch layer of mulch. Protect foliage on vulnerable evergreen plants from cold and drying winds. 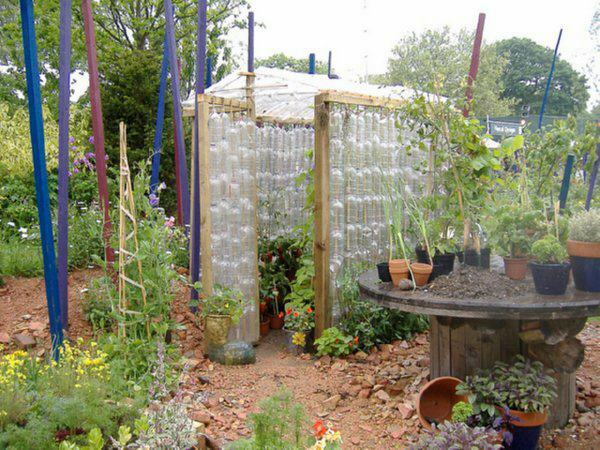 Covering plants works but is effective only if the cover extends all the way the ground and is secured in place. Covering plants down to the ground helps trap heat from the soil. The cover should be removed as soon as the temperature rises – or else you may bake your plant. Note: Desiccant spray is useful to prevent leaves from drying wind, too. The rule of thumb for container plants is that they need to be hardy to two zones below their zone location to make it through the winter in a pot. That means they need more than mulch. Picture how cold air comes at containers from the top, bottom and all sides. Leaves and roots have no protection. Our landscapes are full of microclimates. Move potted plants to a sheltered area that traps heat. Huddle them together and cover the group. Often we need to boost their surrounding temperature only a few degrees. Heat radiates from the surface of the soil overnight. Hold it in with fabric covers or cardboard boxes. As possible move your most tender potted plants into the garage. If a hard freeze is predicted, be sure to water plants ahead of it in the early morning. Moist soil absorbs heat from the sun during the day and therefore is able to radiate heat during the night. Cover vulnerable plants in the afternoon after foliage dries from early morning water. Again, coverings must reach all the way to the ground. Plastic alone does not satisfactorily protect a plant from cold. Plastic in direct contact with foliage intensifies the cold and can burn leaves. A sheet of plastic is OK on top of breathable fabric but should be removed from plants as soon as the temperature rises above freezing. Otherwise plastic may burn foliage. Sun can actually cook a plant’s leaves under plastic. Have a plan and stage protective materials for occasions when frost and freeze are predicted. 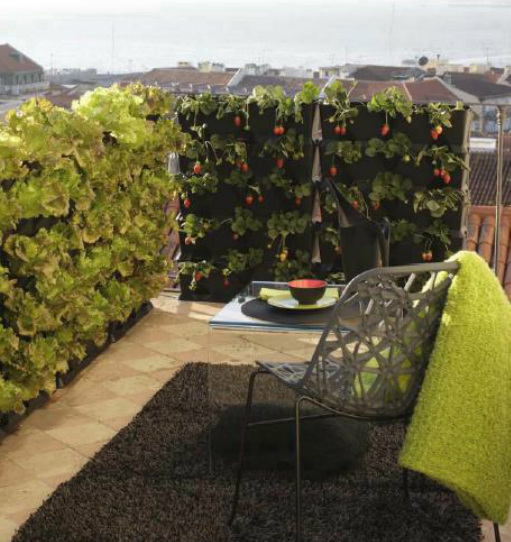 A keyhole garden has a composting basket built into its center. Water and compostable materials in the center - feeds and waters the crops in the surrounding veggie growing area. or on an old bed frame. those parsnips are turnips, to deter snails, spread eggshells/shells or fill can with beer, they drown. 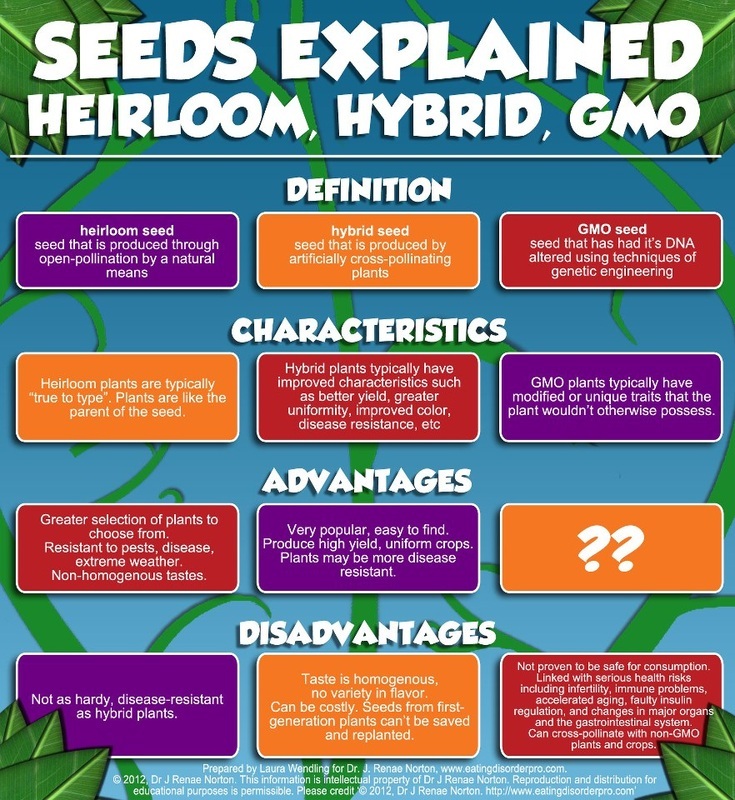 Only heirloom varieties are open-pollinated. Therefore, the only that produce seed to be saved for another year. Although hybrids are in gardening stores, the seeds from hybrid varieties are sterile and cannot be used later. Learn to recognize open-pollinated varieties (Clemson spineless okra, Thomas Laxton peas, Rutgers tomatoes, etc.) 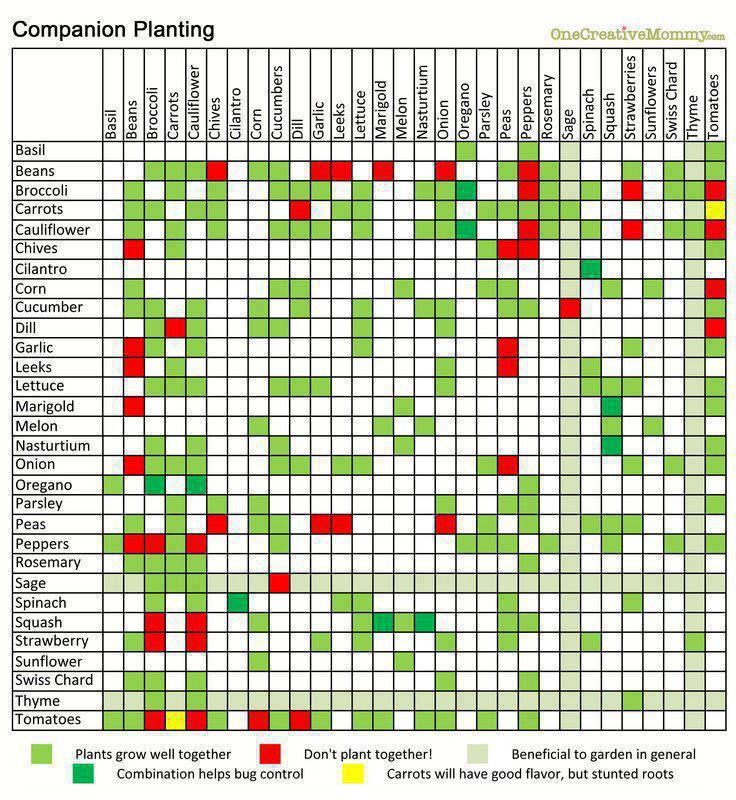 and live with inconvenience of learning to identify the varieties that do well. 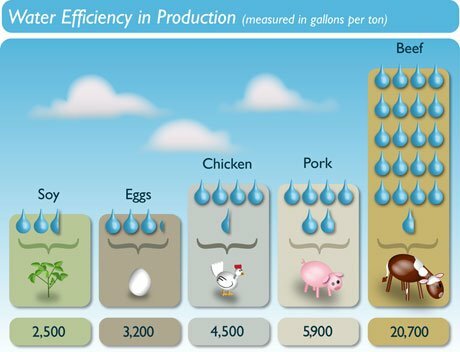 Our food supply depends on us to make the effort! a Community Supported Agriculture program in your recipient's neighborhood. Usually you can purchase membership by the month, season, or year. and you will be supporting a local farmer. The best organic food is what's grown closest to you. where you can buy produce, grass-fed meats, and many other goodies. Want to support this great web site? Shop in our catalog for things you can't find locally! Scoop some soil into a container. Then, add a half-cup of vinegar. 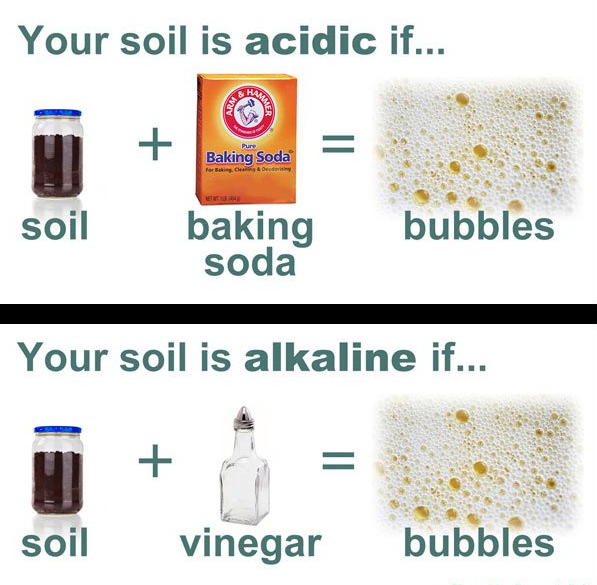 If the soil bubbles or fizzes, it's alkaline. If there's no reaction, scoop a fresh soil sample into a second container. Add a half-cup of water and mix. Then, add a half-cup of baking soda. If the soil bubbles or fizzes the soil is highly acidic. Amend your soil with wood ash or lime, if it's acidic. Eggshells can be used as a calcium substitute. Wash and crush them and apply to the soil. 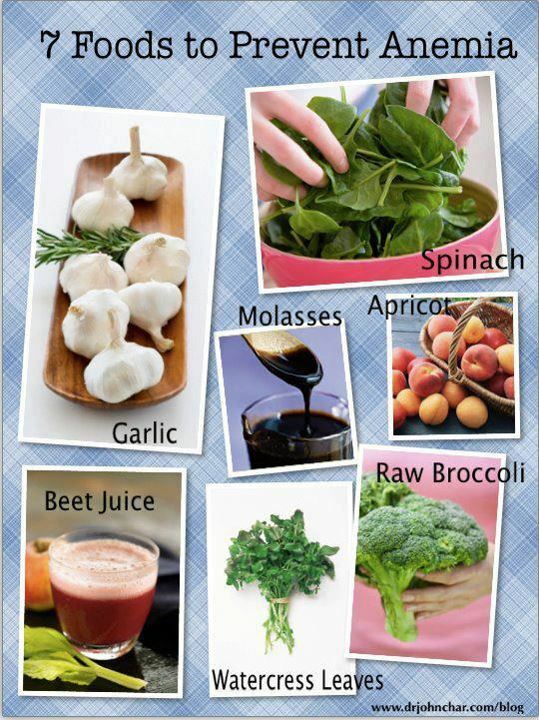 Change in acidity should be apparent in about 10 days. Coffee grounds can also be used a soil amendment for nitrogen. Compost and get Free Hot Water? Who makes the wind to blow? Who brings the winter snow? Who makes the grass to grow? Who saves the human soul? Jesus, Jesus, He makes all to be; Jesus, Jesus, He means all to me. Who makes the blind to see? Who means the world to me? Want to learn some more gardening basics? Check out our Gardening 101 series. 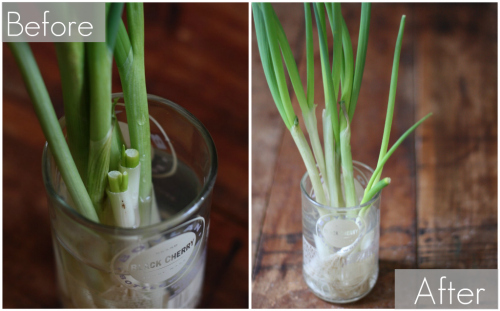 Various plants that regrow from the food you already have! Beef production is using so much of our precious resources. Is it really worth it for a steak? of the earth’s entire land surface, mostly permanent pasture but also including 33% of the global arable land used to producing feed for livestock. This is crazy. We can all play our part. in the process. What we choose to eat has huge consequences, -lets choose wisely! 2. Cleaning fruit - fill sink with water, add 1 C. vinegar, mix. Add fruit and soak for 10 minutes. Water will be dirty and fruit will sparkle with no wax or dirty film. Great for berries - keeps them from molding- strawberries last for weeks! 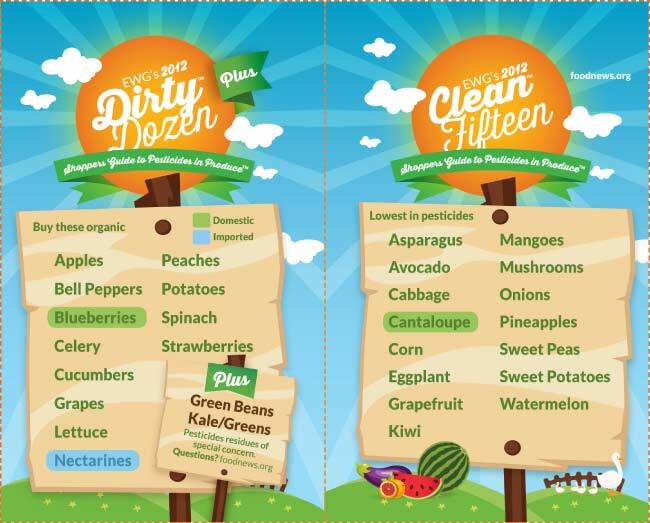 try as hard as possible to get the dirty dozen ones in organic. Grows as a small bush - wonderful to rub on when outside. Bees are repelled by lemon and cloves. Cut a lemon in half and stick cloves all over it. cover with plastic wrap, pierce lil holes. To kill the nest I poured a mix of water, honey/sugar and borax down the holes. or put 10 spoons of jelly/jam and 1 spoon of borax in caps, lay them about and ants carry it back to the nest. Or in spray bottle put 1 tspn rubbing alcohol & 1 1/2 tspn dish soap. Fill bottle with water, spray ants. Plant mint around doors / windows to ward off ants. Put mint leaves in pantry etc. in a spray bottle. Squirt generously. 1/2 c table salt, 1 tsp dishwash liquid. Mix and pour into a smaller spray bottle. as it will kill pretty much anything in its path. Cleaning fruit - fill sink with water, add 1 C. vinegar, mix. Add all fruit and soak for 10 minutes. Water dirty and fruit sparkle with no wax or dirty film. Great for berries too - keeps them from molding-strawberries last for weeks!